An Ox Bow Incident with poison gas? 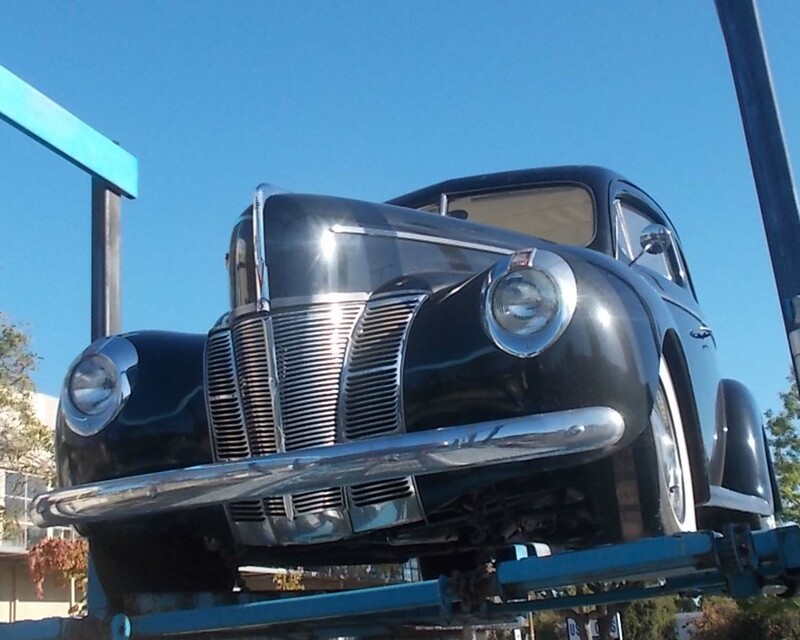 Seeing a Forty Ford arrive in Berkeley wasn’t the only Forties Flashback moment this week for one columnist. Then he would challenge folks to do their own fact checking by providing a link to the full text of that speech. The fact that Pops Finnegan lost a son fighting in the South Pacific in the early stages of WWII might have an influence on Pops’ respect for the Nuremberg War Crimes Trial and any attempt to eliminate such material from a modern debate about national policy. No one disputes that the use of poison gas is reprehensible but the Ox Bow question is: Who did it? Could Assad have used a tactic that was sure to draw international condemnation in a fight that he was winning? Could the rebels have been so vile as to kill some of their own supporters just to bring outside intervention into their effort which seemed to be failing? The World’s Laziest Journalist, who does not squeeze writing time into a schedule that is full of talk show appearances, has had time to read up on the Nuremberg Trials. Citizens, who find and read a copy of “Justice at Nuremberg,” Robert E. Conot’s 1981 book about the historical legal proceedings that came after the conclusion of WWII, might find it disconcerting to contemplate the concept of crime against peace for humanitarian reasons. If her experience based opinion was correct, then it is rather ominous to see the current American President repeating the Bush foreign policy because that tends to indicate that experts on war crimes might be harsh in their assessment of the Obama speech this week. Luckily for him, the number of living people who are available for sound bytes on the Evening News with such insights has dwindled to a small number. On Sunday, September 8, 2013, a German magazine reported that the BDN (Germany’s Intelligence Service) has heard phone calls that indicated Assad may not have personally authorized the use of the poison gas. This bit of news got very little notice in the media inside the USA. Was the fellow who wrote “The Ox Bow Incident” embroiled in the HUAC Hollywood Hearings? The World’s Laziest Journalist would prefer to write columns about other more innocuous and vapid topics such as the arrival this week of the Juice Box camper in Berkeley as part of their effort to travel the country and inform the USA about the connection between diet and health. They are using a forty year old Winnebago and that, in turn, got us to wondering if Tom Wolfe or anyone else will be doing a fiftieth anniversary recreation of the famous Magic Bus tour of the USA in 1964 and if so how can we get a chance to cover that journey. Wouldn’t a chance to get a ride-along on Willie Nelson’s tour bus make any journalist almost famous? Heck we got all jazzed by a Forties Flashback moment seeing a Forty Ford in Berkeley, recently. Pops Finnegan would probably stress that the fun feature work can always be done later and that writing a column about a historic sidebar aspect to the plans to deliver a pin prick attack on another country might have priority. The Peaceniks are deluging their representatives in Washington with a tsunami of phone calls and e-mails strongly urging a “no” vote against military action. They could, if they chose to, make a much stronger case if they drafted recall petitions and informed their representatives that a “yes” vote would automatically initiate the use of the recall petition before sundown on the day of the vote. Now the disk jockey will play the song that played during the opening sequence of the movie “Apocalypse Now,” Wagner’s “The Ride of the Valkeries,” and Elton John’s “Tiny Dancer.” Now we have to go see a bargain matinee showing of “The Family.” Have an “America Exceptionalism” type week.